“It’s nice to get out and enjoy the fresh air and God’s country and the exercise. It’s a good sport,” says Marlene Vlahos of cross-country skiing in the mountains around Ely. 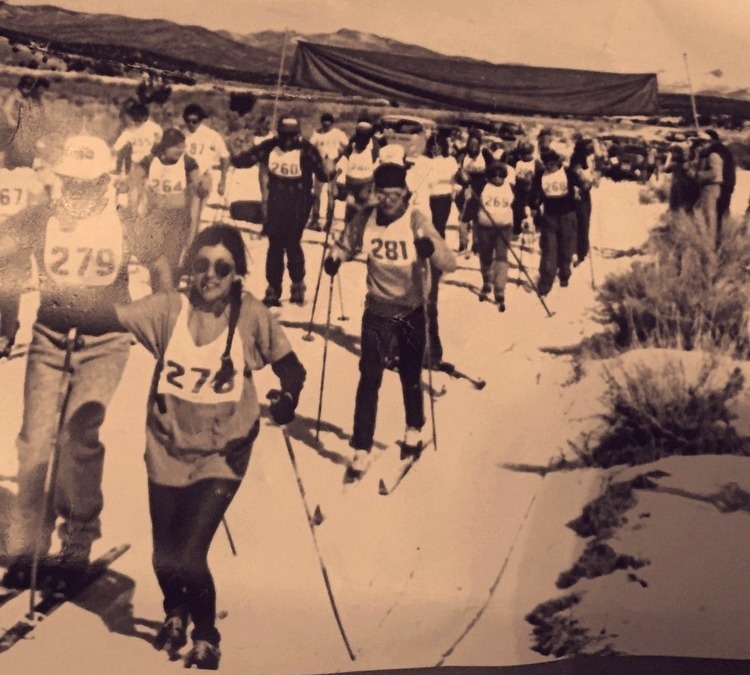 In the 1980s when thick winter snow frequently blanketed the region, Vlahos was an early participants in what became the region’s annual Bristlecone Birkebeiner race. This year’s January 20 race will be held at Ward Mountain Recreation Area, public land administered by the Bureau of Land Management. “They groom the trails for us if the snow conditions are good enough,” says Moira Kolada, treasurer of the Ely Outdoor Enthusiasts club that organizes the race. Three courses are available, 6.1 kilometer and 3 kilometer courses for adults and a 1 kilometer course for kids. In years when snow is scant, the event becomes a slush-run footrace. Participants can bring their own equipment or rent at a discount from SportsWorld. Encouraging people to be outside and active in the vast and inspiring open spaces of White Pine County is a goal of the Outdoor Enthusiasts. The club sponsors other events throughout the year. Wisconsin enthusiasts organized the first American “Birkie” in 1973, modeled after a Norwegian race launched in 1932. The Norwegian race commemorates skiers who smuggled a king’s son to safety through the countryside during a 13th-century civil war. Even today, contemporary racers carry a pack to symbolize the weight of an 18-month-old child. The protective birch bark leggings of the Norwegian skiers lend the race the “birkebeiner” name. The mechanics of traversing the forest on skis has not changed much over the centuries. Nor has the distinctive quality of the sport.